It’s not the most pleasant topic, but at some point, you’ve probably thought about what you’d like to happen to your remains when you pass away. You might want to be buried underground in a cemetery plot, or perhaps you’d rather be cremated. One thing you probably haven’t considered is having your remains liquefied and then dumped into the sewers of your city, but that’s exactly what is happening to some deceased Canadians. Hilton’s Aquagreen Dispositions uses a process called “alkaline hydrolysis” to dissolve dead bodies. According to their website, pressure, heat, alkali and water are used together to hydrolyze a person’s body, with only fragments of bone remaining and any medical devices the person had implanted. Family members can recover things like pacemakers and titanium implants and have them recycled, while the bone fragments are then pressed into a white powder and given to the dead person’s loved ones to be kept somewhere or scattered. 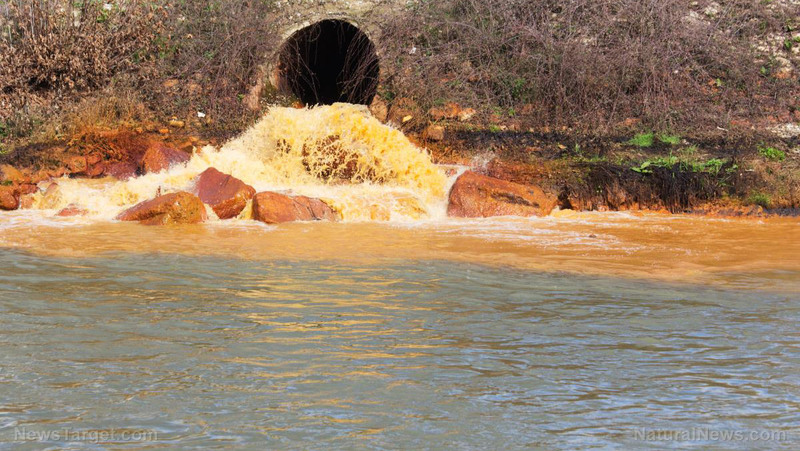 You might be thinking that nothing seems too untoward there, but the company found itself in hot water after it was discovered that they were draining the liquid byproduct of the process into the sewage system of the town. In fact, the Bereavement Authority of Ontario suspended the company’s license earlier this year. It was also noted that they did not always have a funeral director on hand during the cremations, which is a requirement to ensure the deceased person is given proper and dignified handling. Do you want to end up in the sewers… or on someone’s food? While it’s billed as an “eco-friendly” solution, it’s really the opposite if it means the heavy metals like mercury that survive the liquefication process are ending up in city sewage. And guess where that city sewage ends up? Many cities have been turning their sewage it into “biosolids” that are then dumped onto food crops. The use of biosolids, or biosludge, is an upsetting practice under normal circumstances as it spreads pharmaceutical chemicals, industrial pollutants, and heavy metals onto crops, but it’s even more disconcerting to think that the food we eat could have been fed the remains of other people. Perhaps it’s not technically cannibalism, but it’s close enough to make many people feel very uneasy. Without that final step of putting people’s remains in the food crops we eat, this might indeed be the eco-friendly solution it claims to be. Current methods are not perfect, with the concept of flame-based cremation requiring the same amount of gas and electricity that a single person uses throughout an entire month, according to the Guardian. It emits greenhouse gases and is also responsible for a significant portion of mercury pollution – 16 percent in the UK – because of dental fillings. Burial isn’t much better, with coffins using up wood and often sealed using formaldehyde resin. Formaldehyde is also used in embalming bodies. On top of that, underground casket burials can take up a lot of land, which is already at a premium throughout much of the world. The bottom line is that if you’re seeking a “green” solution for your remains, you might want to make sure it is truly as environmentally friendly as it seems before you make such a serious decision.